Do it yourself! Equipping speaker cable with plugs and cover with braid . Many cable manufacturers offer their own cables from reels for the DIY enthusiasts. Of course, you can simply remove the insulator from the cable ends and screw it to the terminals of the speakers, but if from time to time, there is a desire to experiment with cables, it's not really convenient. Also, the cable with time fills and does not look as nice as it was from the reel. So the set consists of Furutech's premium quality AC Alpha 36 audio cable, Kacsa Audio banana plug and Kacsa Audio decorative cable casing. Kacsa Audio was chosen to fit into certain budget frames. The products of this brand stand out with a very high quality and affordable price. I chose the lead cables made of monocrystal copper (OCC Copper) wires with rhodium plated. Removing the outer casing of the cable reveals a second, special polychlorovinyl and carbon binder wire cover. 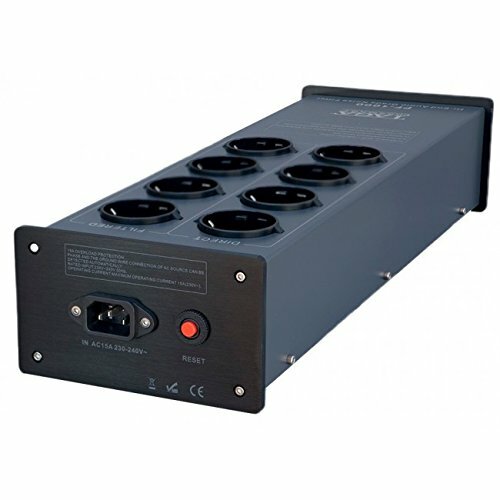 This cover fulfills two functions - damp mechanical vibration and protects the cables from the effects of external electromagnetic interference. The wire core is also made of carbon-bearing material and executes the intrinsic vibration damping task. In general, the work is quite simple, does not take much time, and at the end we get a nice, excellently sounding cable. As it is said, there is no harm without good. After several years of successful Taga Harmony PF-1000 sales finally, come in contact with the first defect - burn out the "power on" LED. I got a spare part from the European distributor quite quickly and got into work. Immediately I would add that it took a little time and it was quite simple. and replace the IEC socket with the Furutech FI-06R NCF. Gluing needed a hot air dryer, but the nest was supposed to use a flat file as the FI-06 socket was slightly wider than the original. But the fixing holes corresponded completely. 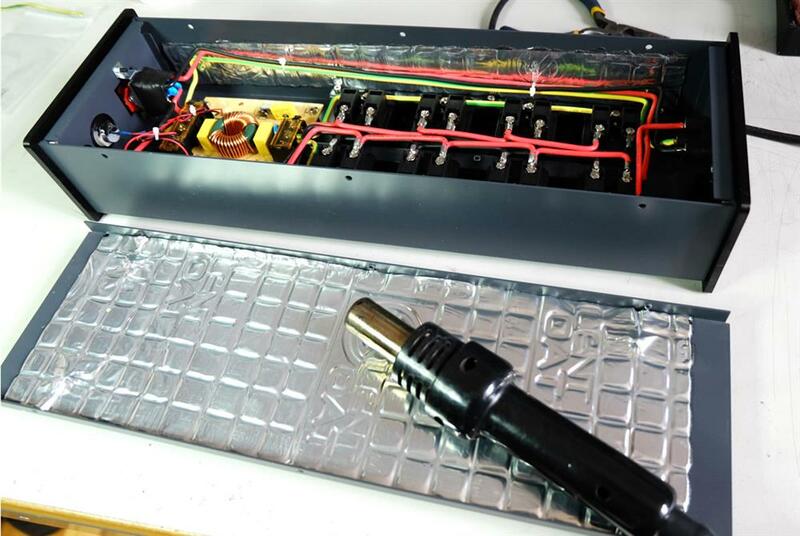 In general, spending a couple of hours and 40 euros on IEC socket and 2 euros on a "Silent coat" damping mat provides a sound enhancement of the audio system. 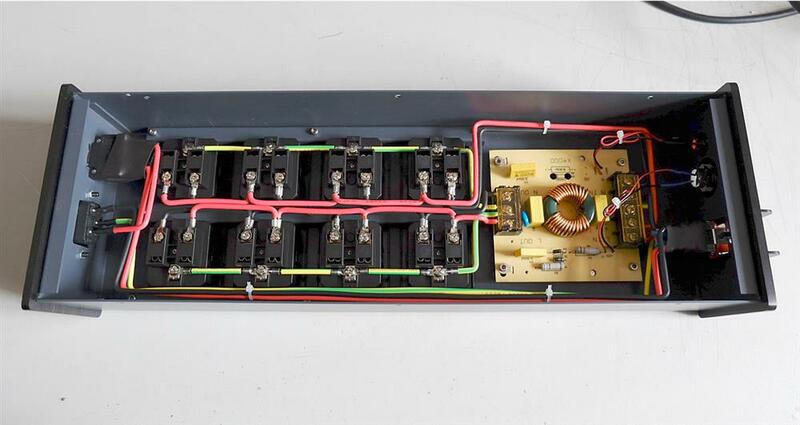 This time to merge with Furutech NCF was for Nordost QBASE-Mark II concept series filter-distributor QB8. Elegant design hush acquired a wide range of adherents in the audiophile world. But nothing could be so good, not try to get even better. Ob8 izgatavots ļoti rūpīgi un pirmajā brīdī bija pat žēl to visu izjaukt. Ob8 made very carefully and at the first moment, it even regretted to start it to dismantle. 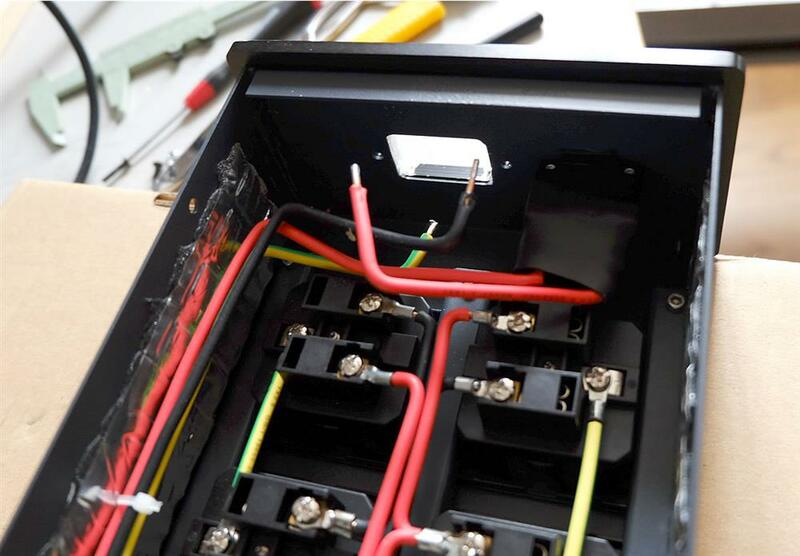 This time to change the original Schuko socket to Furutech FI-E30 (R) NCF was not difficult. No need to drill, to rasp or to saw. The only part of an elegant appearance had to donate due to a decorative plate, which simultaneously executes the socket fixing feature, do not fit in any way. It was necessary only longer screws for new socket fixing. Although filter got a little robust look, but it was not so bad. A small stone to QB8 producers garden- screws could be made of stainless (non-magnetic) steel. In previous Nordost Thor filter, such screws have been applied. Of course in this upgrade process to non-magnetic screws, nuts and washers were applied. But, even without changing of the IEC inlet the result is very convincing- sound became much more transparent, more three-dimensional and timbral richer. To replace gold plated Schuko socket of E-TP60E not require any special knowledge and skills - the ability to use a screwdriver and be neat. However, it would be better to entrust this work to a professional electronic technician. Furutech e-TP60E power splitter design is safe and simple: to disassemble and assemble the bug is difficult. The main question- what is a sound contribution after replacement to new FI-E30 NCF (R)? It is audible for once and gets a clean sound, spatiality, and musical instruments, voice, better articulation. Exposure effect reminiscent of T-Toc records "HD-CD case" impact on the CD sound. To the new NCF socket was plugged Devialet 200 amplifier with Cardas Clear Beyond power cable. The question was whether it is possible to sound improvement of a system if the system`s power cables are Valhalla 2? Of course, it is, replaces it to Odin 2! But audiophiles mind is not calm, although a solution except Odin should be! It had the idea to try to compare two Valhalla 2- one with original gold plated plugs- another one with Furutech FI-50 NCF (R) / FI-E50 NCF (R). Then I`ve connected switching power adapto of "TA-25 mini" . As seen from the indicator readings, the noise rate is even lower, as without the connected adapter. 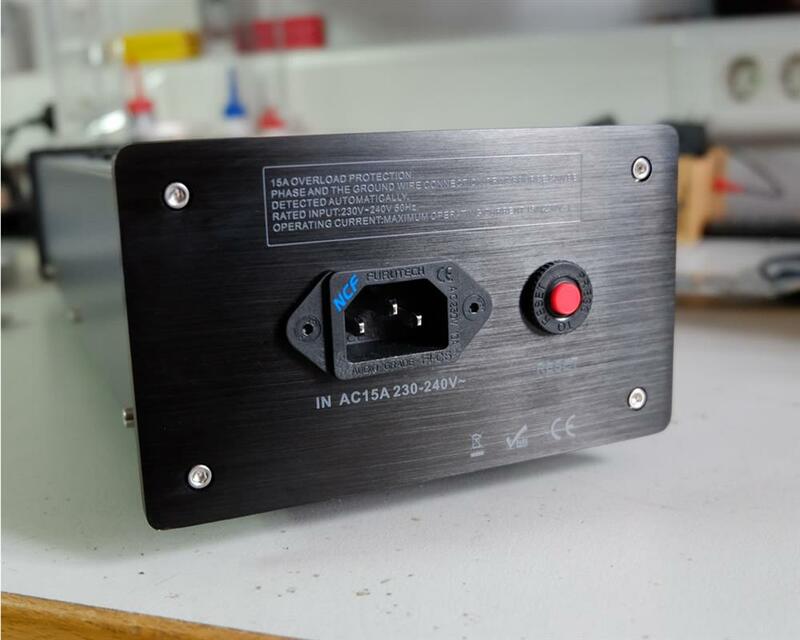 This means that the "TA-25 mini" 230V adapter are not carrying extra noise and its built-in parallel circuit of input filter slightly reduce the overall level of interference. 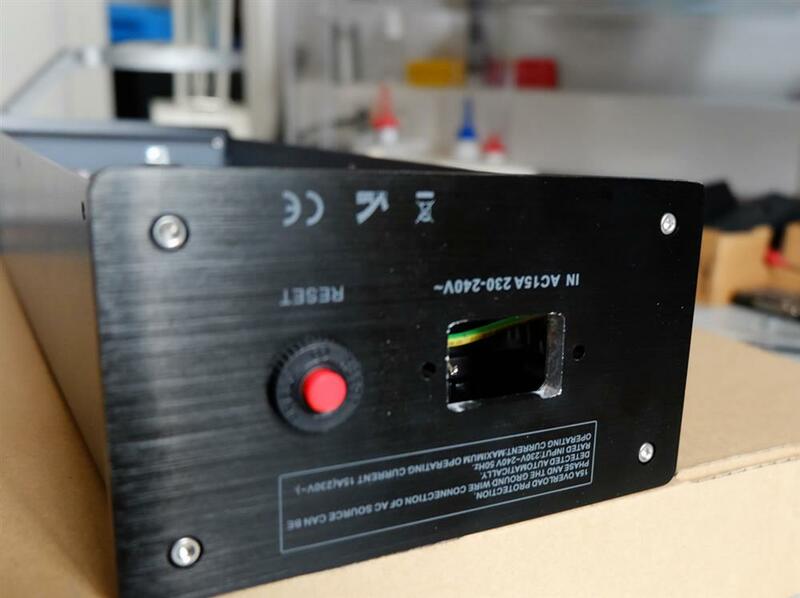 Of course, this amplifier is not designed for High-end systems and the amp could operate with lower quality adapter, but just such "small stuff" describes the manufacturer's attitude towards its product quality and attitude towards customers. All respect Taga Harmony!